Your children may never see a moonrise...because they will live on the Moon. In October 2017, Japan’s Selenological and Engineering Explorer probe discovered a massive underground cave on the Moon. The space, which is 100 meters (328 feet) wide and 50 kilometers (31 miles) long, is being touted as a potential location for a lunar station. In fact, some experts are asserting that the best way to live on the Moon is in caves just like the one recently discovered. Radio waves were used to investigate the cave, after an opening measuring 50 meters by 50 meters (164 feet) was found by the probe. It’s thought to be structurally sound, and could contain deposits of ice and water inside rocks that might be used to produce fuel. The cave is thought to be a lava tube spawned by volcanic activity dating back 3.5 billion years. It’s situated just meters underneath volcanic domes called the Marius Hills. Junichi Haruyama, a senior researcher with the Japan Aerospace Exploration Agency (Jaxa), stated that lava tubes “might be the best candidate sites for future lunar bases, because of their stable thermal conditions and potential to protect people and instruments from micrometeorites and cosmic ray radiation,” according to a report from The Guardian. This cave raises hopes that a lunar station could come to fruition in the near future, using the natural landscape of the moon to solve some practical problems. However, it’s not the only indication that such a project might be a reality sooner rather than later. There was a time when the prospect of establishing a permanent human presence on the moon was pure science fiction. Even more recently, the general consensus has agreed that such a project would be prohibitively expensive for an organization to pursue. Recent technological developments might suggest that this is no longer the case. Everything from self-driving cars to toilets capable of recycling waste efficiently could help drive down the costs of a lunar station, which papers released last year suggested could be in place as soon as 2022. This kind of penny pinching is essential if such an endeavor is going to be a success. NASA simply doesn’t have the funding that it once had access to. The Apollo program that put humans on the lunar surface in 1969 cost $150 billion (adjusting for today’s standards). The agency will only receive $19.65 billion over the course of 2017, up from $19.3 billion in 2016. 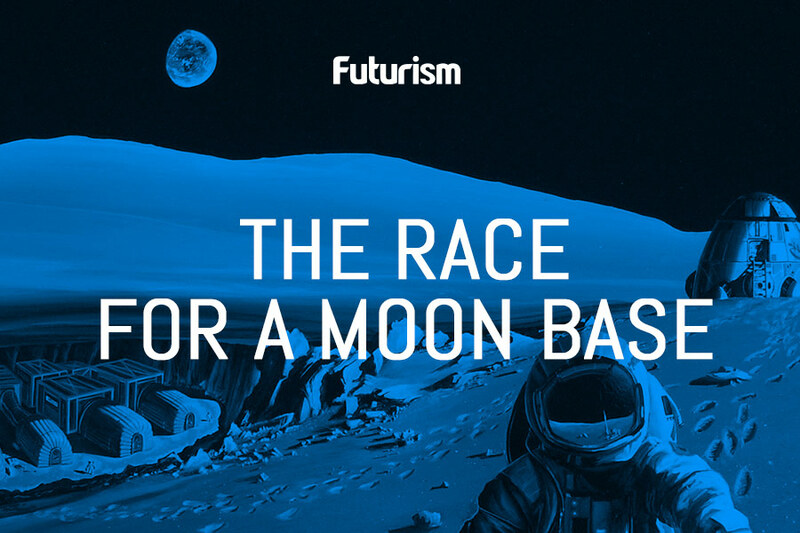 However, the prospective moon base might not be completely reliant on NASA. Private companies like SpaceX and other organizations like the ESA could pursue their own initiatives — and that might end up spurring on American efforts. In fact, some experts assert that humanity will only be able to establish a viable Moon colony through an effort that unites private companies with national space agencies. According to McKay, the ISS has already demonstrated that our life support systems are advanced enough to support a lunar station; we just need to get the tech deployed on the Moon. Fortunately, it seems that partnerships are already forming to do this. In May 2017, there were signs that NASA was pursuing a lunar mining initiative, which would likely be facilitated by the commercial opportunities afforded by a partnership with a private company.